Today marks the first official day where you can pre-order the iPhone X, at least until they become unavailable because of so many orders. While demand is extremely strong, I personally think the hype and expectations for this phone are completely insane. I also think the marketing behind the new iPhone X is confusing because although it has the symbol “X,” it is supposed to be called the “iPhone 10” (due to it being a roman numeral), even though the iPhone 9 won’t be released until next year. With that said, I am a huge Apple fan and I am an iPhone 6 user, who will probably buy the iPhone 8 or iPhone 7 soon. However, people are acting like this “iPhone X” is the invention of sliced bread simply because it has a larger screen and newer camera compared to it’s predecessors. The first reason I think the iPhone X is way overpriced is that you can buy the iPhone 8 or iPhone 8-Plus for literally hundreds of dollars cheaper. According to Apple’s website, you can buy the iPhone 8 for $700, or buy the iPhone 8-Plus for $800. The cheapest model of the iPhone X is a whopping $1,000. With the iPhone X, as opposed to the 8 and 8 plus, you get facial recognition, which unlocks your phone by it recognizing your face. On the other hand, the iPhone 8 unlocks your phone with the more traditional Touch ID featured on other iPhone models. Also, with the iPhone X and iPhone 8-Plus, you get larger screens and a wide-angle camera, which is a little bit better for horizontal picture taking. The iPhone X also has slightly better screen pixelation. So when comparing the three new models, they are practically all the same. They have the same A11 Bionic Chip, they all have a 12MP camera and they all have the new wireless charging feature, which happens to be pretty cool, I must admit. In further comparison, you can buy earlier models of the iPhone such as the 7 and 6s for hundreds of dollars cheaper than the iPhone X or 8. They can do practically everything the newer iPhones can do, except wireless charging, which isn’t necessary at all. Next, the new iPhones, like the iPhone 7, do not have a headphone jack. In other words, if you want to listen with your headphones you will need to buy an adaptor from Apple, which means you can’t charge your phone and listen to music at the same time. This is a serious complication for all users. Apple, Samsung and LG all work together by using a strategy called “planned obsolescence” so that they can maximize profits, and rip the average consumer off. It’s a fact that they have future technology they won’t put on their new phone models so that they can put it on the next iPhone to keep profits up. To further illustrate, I have an iPhone 6 with iOS 8.3, so it is three years outdated. If I want to download new apps or other new features from Apple, I would have to update my software from the company’s website. By doing so, my phone speed and battery life inevitably decrease, and this isn’t a coincidence. All of Apple’s new software operating systems are optimized for their new phones. The fact that the company is allowed to get away with this is just crazy. Put differently, the way iPhones are now being marketed is not about functionality, it’s completely about marketing now. People are going to look over the technological specifications and look right at the larger more recognizable screen that the X has. I get that people want to be cool and have the new phone, but when you think about it, what’s the point? People want to be trendy and the company realizes this, so their strategy is all about maximizing profits, not giving the people the best possible phone. With all of this being said, cell phones are a huge part of our lives. We use them to communicate with the ones we love, take pictures from memorable events and so much more. People should be concerned that the companies we buy them from, like Apple, are taking advantage of us. I don’t understand why everyone is complaining that the iPhone X is too expensive, all you need is a mortgage and a spare kidney. Folks, I can’t tell you how disappointed I am in the failing #iPhone8 . Essentially same as before, not worth the money. Very sad @Apple! I recommend steering clear of this new phone from Apple. What are your thoughts on this? Do you agree, or are you hopping on the iPhone X bandwagon? Let me know. Previous articleThe Plague Is Here, With 124 Dead. Are Americans At Risk? Hey Buddy!, I found this information for you: "7 Reasons Why I Think The iPhone X Is A Total Rip-Off". 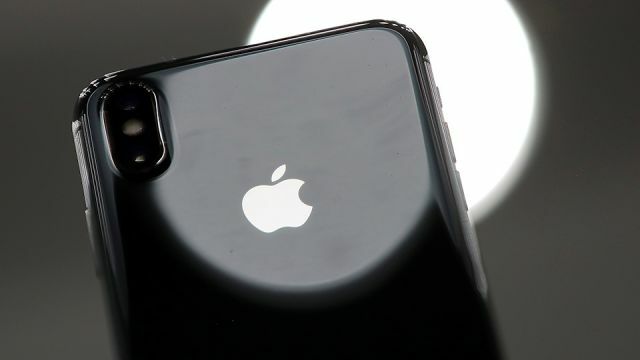 Here is the website link: https://www.thealternativedaily.com/7-reasons-why-i-think-the-iphone-x-is-a-total-rip-off/. Thank you.